Update posted, dated July 18 (2017). The MTT Kit is located in the first post of this thread. The "kit" is for your own use if you want to convert a cash profile for tournaments. A hand was posted where the bot called off the majority of it's 14BB stack with a flush draw on the flop. A new codeline has been placed at the end of the flop in the MTT kit which will prevent this. What do you think of these shortstacked hands? Well I wrote it so it figures I will agree with them. With less than 5 BB's I'm open-pushing first opportunity with anything but the very worst hands. Will come in the download starting with the next version of the bot. Those lines are failsafe code to help prevent screw ups when the bot missreads stacksize. If you notice your bot executing those lines, it means there is an issue and you should report it in the bugs or help sections. so this resteal seems a little loose to me. We go up against villain with decent stack with a hand from the bottom drawer. Even though we are just under 10 bb I would consider tightening this range. Villain probably wont fold much at these microstakes. Look again. Unless the bot had missread of the big blind, you had a stack of between 2 and 3 bbs, and you were big blind. You have to play with literally any hand. Has played 64 MTT games. Buy-in 1 $, 0.5 $. Not once did not take prizes. Is this the norm? Share your experience. That is such a bad run I would make sure you are not getting reading errors on your setup, especially stack size. To make sure the software is working correctly, watch the bot play at one table only with the bot window open on the screen. 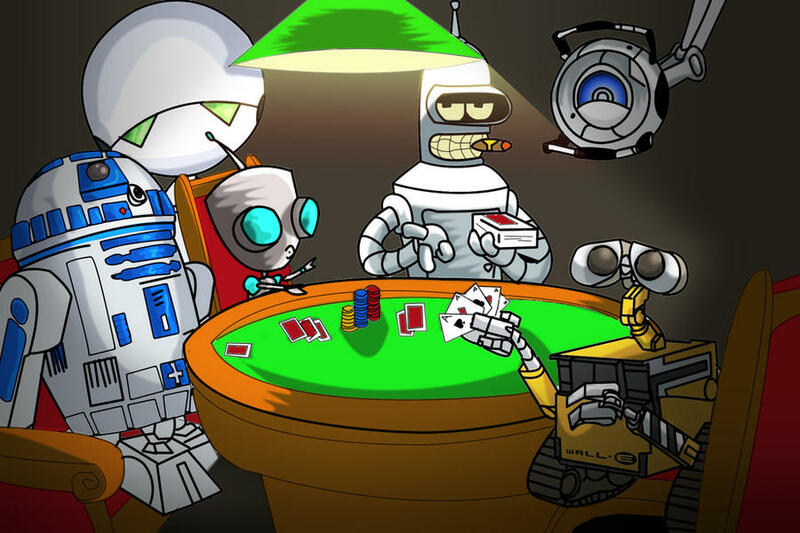 Verify that it is reporting accurate information, especially in regards to the big blind size, stack size, opponent count, and bet/raise/call count when it is the bot's turn to act. If all seems well, add additional tables one at a time and continue to verify that the additional bot windows are functioning properly. This isn't a profile issue. The profile called for a potsize bet on the turn and it min bet instead. You should post in the help section because it is a bot issue. I found this error, it seems difficult to fix because was at root level in the bot. The bot wanted to make betpot, but the betting button "Pot" was not availabe because Pot=9x200=1800 > Stack 1630; so clicked in the "air" and made a bet min. Not a profile issue but an issue with not clicking on the right button. Is this the standard MTT profile that comes with the bot, as in I don't need to change any settings? I'm just wanting to set this up to play a MTT every night and grind out results over time. So how do you get it to play like 10-20 MTT's overnight on Ignition without erroring out?